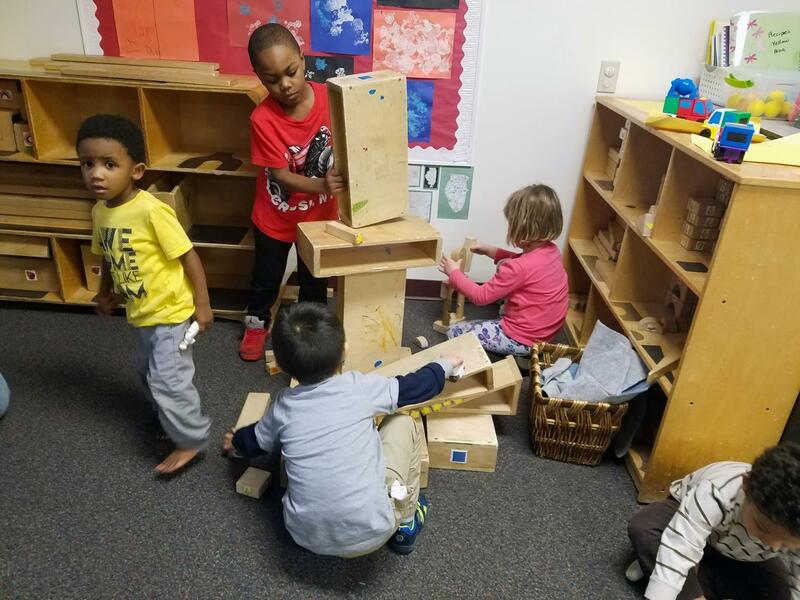 Children build with blocks together in the LLCC Child Development Center. In 2011, 4.8 million Americans struggled to meet the demands of secondary education while raising a child. Parents enrolled in college made up over 25 percent of the student population, according to information gathered by the Institute for Women’s Policy Research. Only a third of those parents completed school within six years, compared to a graduation rate of 53 percent in non-parent peers. The LLCC Child Development Center is a day-care facility whose focus is serving students. Children who go to the center receive the best care, along with a curriculum-based education. There is almost no additional commute time, which makes scheduling easier than off-campus options. The center has a bus stop, as does the college, to facilitate those students without reliable transportation. Laurie Rhodes, the director of the nationally-accredited center, has been with center for the last 20 years. “There is no such thing as the ‘traditional’ student anymore,” she said, referring to the different paths students take to higher education. Unlike community centers, the LLCC Child Development Center provides the flexibility imperative to college students. A parent is not charged for faculty days, college breaks or for time between semesters. The center offers full or half-days based on the student’s needs, as well as discounted rates for enrolled students. The Lumina Foundation, a private group who states their goal is providing opportunities for post-high school education for all, released a report on independent student success that found students with children are twice as likely to live below the poverty level than non-parent college students. Nearly all student parents struggle to afford quality child care. Center-based care, or day care, often runs more than $200 weekly, and spaces fill up fast. Campus day care is the best option for college students with children, though less than half of our nation’s colleges have these centers. Teachers at the center have developed a rich, curriculum-based environment for children to learn and grow in, using the most up to date research to provide new, engaging ways to help develop the youngest minds. Space at the center is limited and there is a waiting list, but serving students is the center’s main priority. 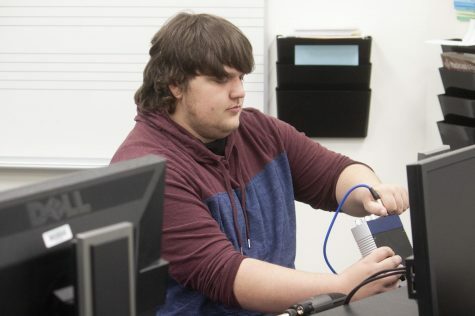 Other resources are available, and the center works with students who receive help from the Child Care Assistance program through Community Connection Point. This program is based on income and a parent will be responsible for a previously established percentage of their childcare. “It is hard to focus on the needs of your family and the needs of your school work. We are here to really support families with that,” Rhodes said. Her best advice to student parents is to apply as soon as possible.